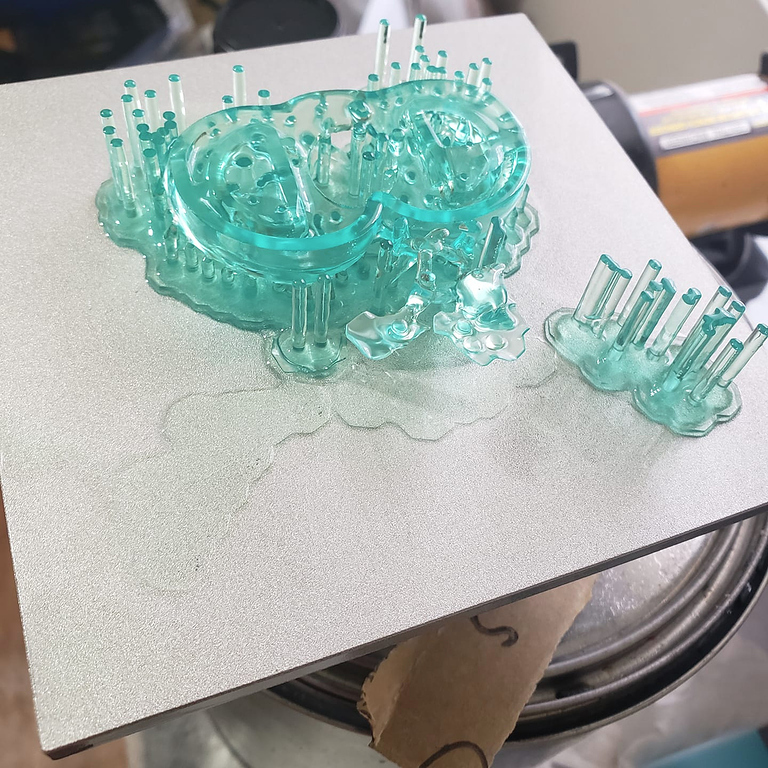 so i can print using this resin on FEP Vat but supports fail on the left side where theres less peel force. leveling is within 10.4-10.7 on each corner peg. using heater with 35c in side. pm motor speed is 7 only the middle and right side print well but not anything passed the left side in the middle. ive lowered the plate about .1-.2 and just one side of the supports print but still having failures. any idea what i can do to get this going on large prints using the entire plate? can you post a screenshot of the item in cura/asura? I’d like to see the orientation and support distribution. what support size are you using? for now i can only assume that something is wrong while the g-code is generated. Also, what is the laser power and the slicer you used? Cura to slice, as for this resin you need 85% infill to make it print successfully. 52 laser power.i have printed small figures with this resin but wanted to try larger prints and thats where i have the issues. the part of the vat that has the least amount of peel force is where it constantly fails. to be sure ive resliced several times and the same spot dont print but i beleive i may have found the issue, the resin really sticks to the fep more then usual. the peel force is pretty strong with this resin. i swapped over to Nex resin to make sure it wasnt a leveling or vat issue and so far its printing with no issues.